SSL Error!!!. Please install the CA Certificate(s) for SSL communication. If certificate resides on local disk, try "acroread -installCertificate [-PEM|-DER] [pathname]" on the command line. If certificate resides on the server, try "acroread -installCertificate xmlgw.companieshouse.gov.uk 443" on command line. HMRC helpdesk were clueless, sending me back the forum link I had sent them, and asking me to make sure that I was using Adobe Reader. The good news is that I attempted to use it again yesterday, and it all just worked without any fiddling. I used Adobe Reader 9.5.3 32-bit on Ubuntu 12.10 64-bit. Just follow HMRC’s instuctions on fiddling with Adobe Reader’s security settings, and all should be well. Also see my post on Adobe Reader on 64-bit Linux. Yes, you too can do it, and with one screwdriver. I spent a fair while browsing laptops to find one that would suit my needs. What I wanted was a 15″ 1080p ultrabook. What I discovered is that there weren’t many. Many Spring 2012 blogs were predicting them, but in Aug 2012 there were just a few to choose from. 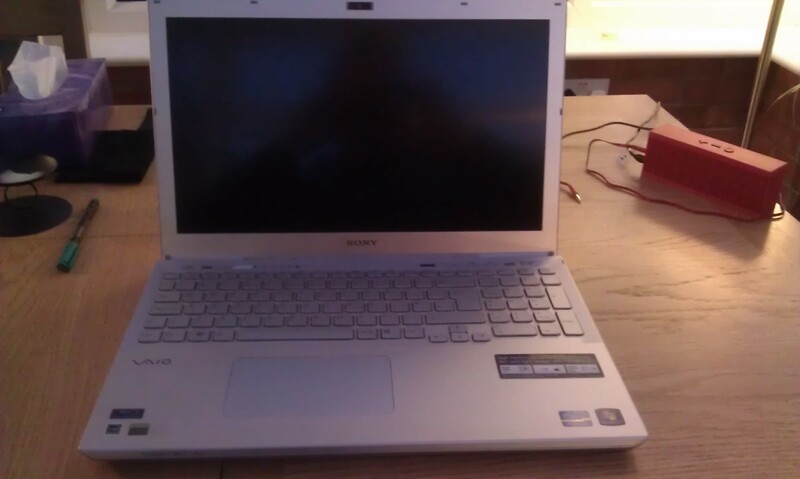 Anyhoo, I ended up with a Sony Vaio S 15. My previous (now blown up) laptop was an i7, and in the two years it was alive, it was hardly ever pushed beyond 3%, so I decided not to waste the money and dropped down to i5. Extra memory I can get anywhere cheaply, so I didn’t see the need to pay Sony a premium for that either. What I did want was an SSD, as in other computers I work on it has introduced a step change in the speed I work at. Problem was, Sony wanted £400 for a 256Gb SSD. I beg your pardon? £400? Not sure what planet they’re on, when a very well reviewed SSD can be bought on Amazon for £150. So I wanted to know before I bought the Vaio if it would be easy to swap the HDD for an SSD I bought myself. Answer – it is. Flip it over and you’ll see there’s a user removable section on the base. 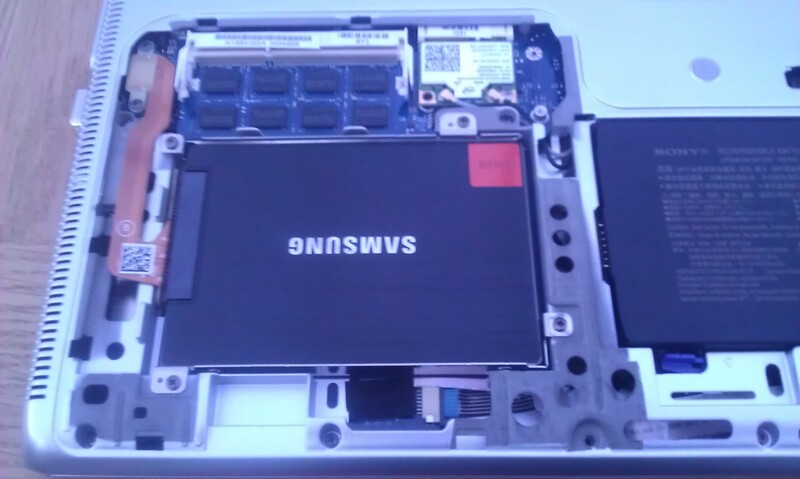 Remove the two screws that hold it in and pull towards the edge of the laptop. 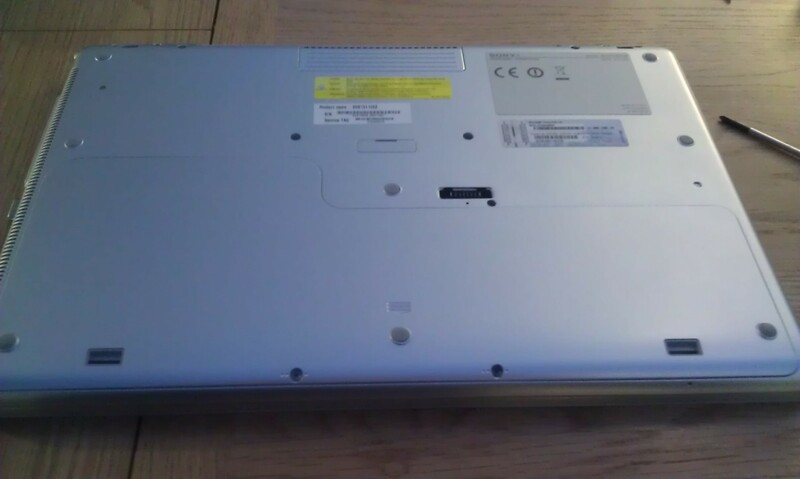 You can now access the battery, the spare memory slot and the hard disk. 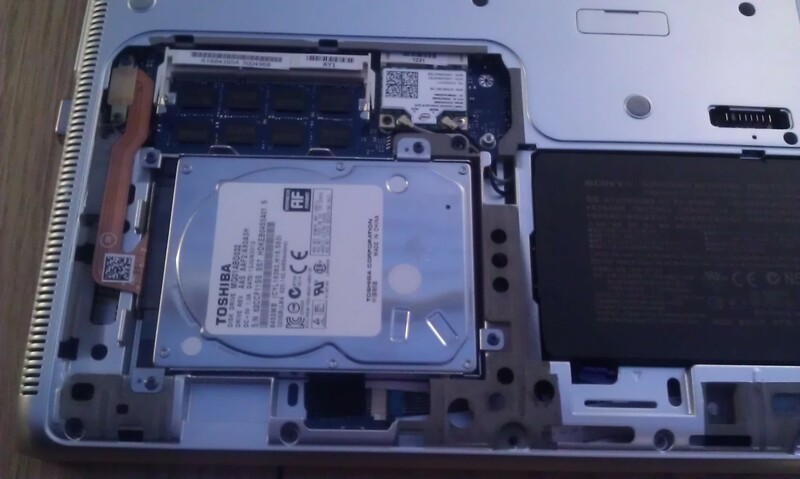 You’ll see the hard disk has four screws holding it down. Remove these and unplug the hard disk. 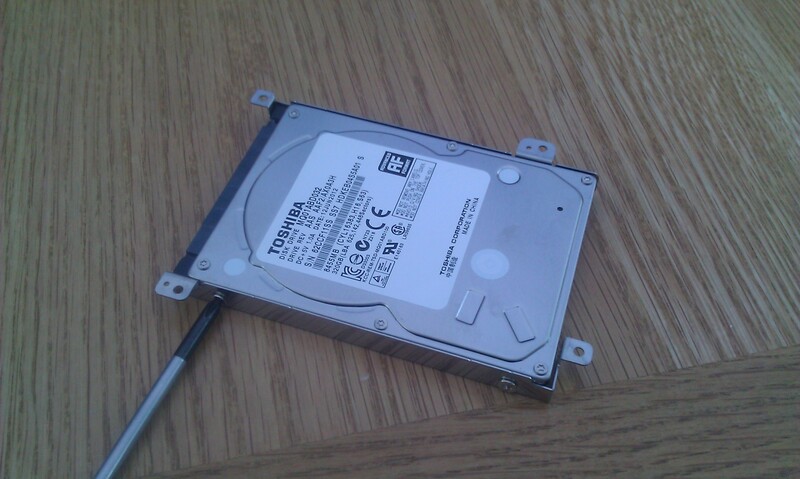 The hard disk has two metal mounting strips attached to each side. Swap these over to the SSD. Since I am switching a lot between distributions at the moment, I will start building this list of equivalent commands. Google completely fails to provide the link to Stephane Galland’s debian package of Epson Perfection Linux drivers which I have successfully used on Debian and Ubuntu for years now. rhythmbox -d 2>&1 | grep "plugin search path"
user@work:/usr/share/rhythmbox/plugins$ rhythmbox -d 2>&1 | grep "plugin search path"